How important is your dental health? If it’s important, you should learn how to prevent gum disease, your oral health’s biggest threat. Your mouth contains billions of gum disease causing bacteria. Gum disease is the most common chronic bacterial infection in adult patients. It’s estimated that nearly 50% of Americans over age 30, and over 70% of those age 65 or older, have some form of gum disease. The good news is that, with regular dental checkups and proper daily oral hygiene, it’s possible to prevent gum disease. If you already have gum disease, Dr. Latner offers treatment that can successfully reverse gum disease damage and prevent it from reoccurring. Make an appointment with Dr. Latner at Westside Dental Associates for the gum disease therapy you need to protect your health. Westside Dental Associates serves families daily throughout West LA, Brentwood, Santa Monica, Venice, Beverly Hills, Marina Del Rey, Rancho Park, Mar Vista, and the surrounding communities. Bacteria can accumulate on your teeth as plaque. 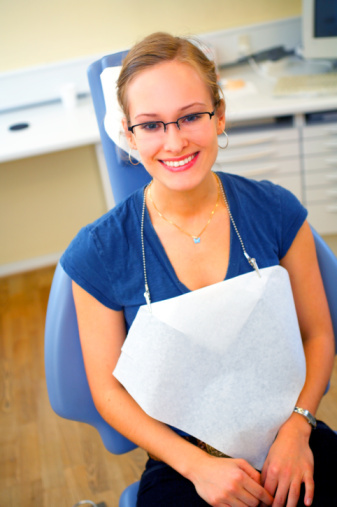 Over time, plaque buildup can harden and become trapped at the base of your teeth. Once plaque hardens, it turns into tartar. Plaque and tartar can cause damage to your teeth and gums if not removed with regular dental cleanings. They can lead to inflamed and infected gums, and early stage gum disease, gingivitis. This stage is easier to treat because it only affects the gums. Left untreated, gingivitis can lead to a more serious condition known as periodontitis. Periodontitis causes deep pockets, or spaces, to form between your teeth and gums. As pocket depths increase, periodontitis can also cause your gums to recede, exposing the roots of your teeth and allowing bacteria to grow beneath your gum line. Over time, your bones, gum, and connective tissues are destroyed. Eventually, teeth shift, loosen, and need to be removed. Early stage gum disease treatment, root scaling and planning, is non-surgical and non- invasive. Dr. Latner will remove plaque and tarter deposits to control the growth of bacteria and encourage healthy tissue generation. Scaling removes plaque and tarter from the teeth below the gum line. Root planning then smoothes the root surface, so that the supportive tissue can better re-attach to your tooth surface. These treatments may be all that’s needed to reverse bone or tissue loss due to periodontal disease. More advanced periodontitis, however, may require bone and tissue grafting, or gum recontouring surgeries, to repair long ignored gum disease damage. Since early gum disease symptoms are often mild, many patients fail to take action until their condition becomes serious. Failing to seek gum disease treatment can lead to painful and expensive surgery in the future. Don’t let this happen to you. Make your gum disease treatment appointment with Dr. Latner at Westside Dental Associates today. Dr. Latner is an experienced general and restorative dentist, now proudly serving patients throughout West Los Angeles, Brentwood, Santa Monica, Venice, Beverly Hills, Marina Del Rey, Rancho Park, Mar Vista, and the neighboring communities. by: Westside Dental Associates at December 30, 2014 .